Aervana is a battery-powered gadget that turns any bottle of wine into tap wine. 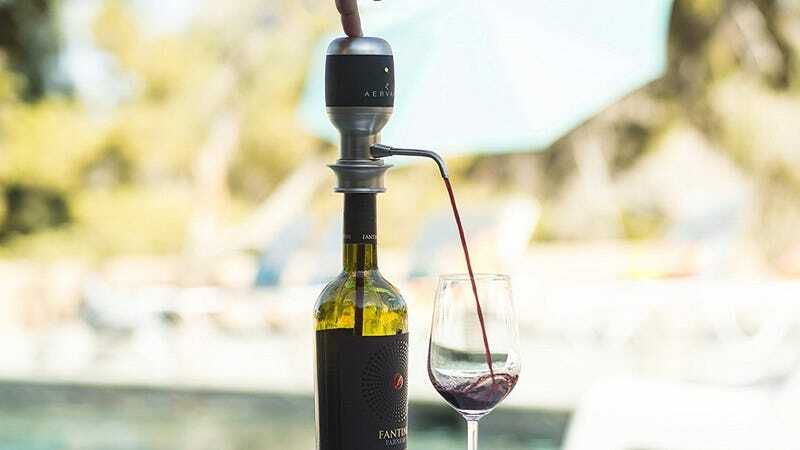 Just attach one of the two included straws (they vary slightly in length), shove the contraption down over the mouth of the bottle, and hit the button to dispense wine. On the way up, it’ll also get heavily aerated, which can really improve the flavor of certain varieties of wine. I’ve tried it myself, and it really did make a difference on a $10 bottle of zinfandel. At an MSRP of $100, I don’t expect many people will buy this for themselves. Last I checked, gravity-fed aerators work pretty well t00. But it’s undoubtedly cool and fun to use, and would make a great gift for your favorite wine lover.